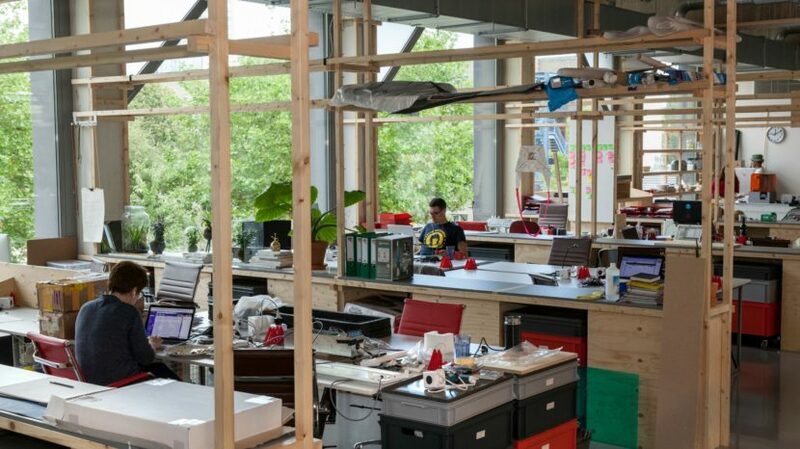 Makerversity, a London-based social enterprise, makes Amsterdam’s former city-centre naval base its first European hub for creative, tech and maker businesses. This summer alongside being recognised as Europe’s most innovative Social Enterprise, Makerversity have been busy building their second cutting-edge campus for creative startups. Following the extraordinary success of Makerversity’s first three years at their Somerset House HQ in central London, Makerversity has turned its attention to Europe’s most outward-facing and creative city, Amsterdam. The new 2000sqm campus offers creative businesses and individuals access to cutting edge workspace; machines such as laser cutters and 3D printers; business support and its infamous community vibe in an enviable city-centre location on the Marineterrein. Marineterrein is a huge city and state-backed repurposing of a naval base right at the heart of Amsterdam with green spaces, cafes and workspaces opening to the public for the first time in nearly 400 years. Makerversity’s mission is to provide affordable workspace to creative and maker startups including free space to pioneering entrepreneurs and practitioners under 25. Member businesses also offer time and expertise to Makerversity Learning – an ongoing series of programmes, workshops, work experience and placements aimed at inspiring the next generation of creative and practical minds. Amsterdam members will have the additional benefit of being able to use Makerversity’s other locations and facilities when overseas. Local demand is high and many of the 200 memberships available have already been snapped up while the space was being built over the Summer. Makerversity Amsterdam will be having a invite-only launch party on November 4th and there’s also the opportunity for everyone to join our next Open House event (on November 17th). All are welcome to come down and explore the space, workshops, cutting edge member businesses, as well as eat, drink and be inspired.